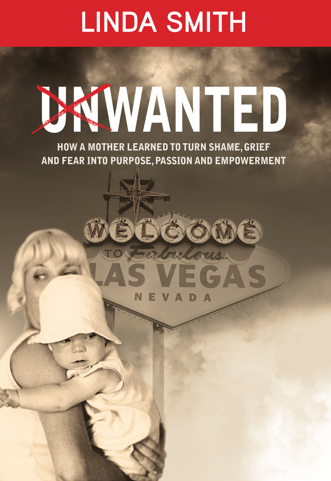 LAS VEGAS – Linda Smith, recognized as the fundraising pillar of Opportunity Village for nearly 40 years, announces the debut of her first book, “Unwanted”: How a Mother Learned to Turn Shame, Grief and Fear into Purpose, Passion and Empowerment. After her son Christopher was born with Down Syndrome, Smith faced discrimination, low expectations, neglect and general apathy towards those like him. Her experience motivated her to become an advocate within the non-profit world for people with disabilities and their families. Smith’s non-profit involvement began in 1985 when she joined Opportunity Village to assist with fundraising efforts, and over the years created renowned signature events including the Magical Forest, The World Challenge Santa Run and Camelot, while raising over half a billion dollars through capital campaigns, donor relationships and event development and management. Since leaving Opportunity Village in 2016, Smith founded a national consulting business to connect high-level donors with deserving charities while providing visionary fundraising strategies. Inspired by her eldest son, Smith established The Christopher Smith Foundation in his name, and authored “Unwanted,” which will be available for sale through Small Press United with all major online retailers including Amazon, Barnes & Noble and iBook as well as her website, LindasLife.com by the end of March, 2019. Smith’s debut memoir, “Unwanted” chronicles her life as the survivor of childhood abuse and mother of a disabled child who became a fundraising icon and relentless advocate for people with disabilities. Priced at $24.95 for hardcover, $14.99 for paperback, and $9.99 for the eBook, all proceeds from Smith’s book will benefit The Christopher Smith Foundation, an organization dedicated to supporting those within the professional caregiving field who care for vulnerable citizens living with profound disabilities. Pre-sale orders are now open to the public and can be purchased at LindasLife.com/Book. 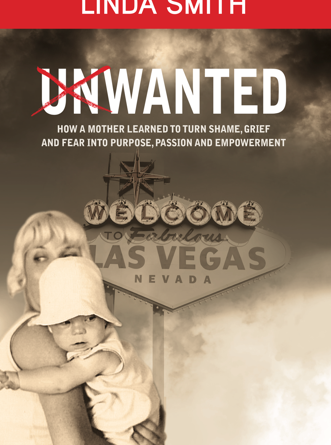 The eBook edition of “Unwanted” is available for media reviews upon request. Linda Smith grew up impoverished, neglected and abused, but knew a great destiny awaited. She had no idea her life would take the turns it would, or deliver her from fear and guilt to triumph and unconditional love. A high school dropout turned model actress, Smith married a popular Canadian entertainer and built a life together traveling across two countries while becoming entrenched in the Las Vegas celebrity community. Linda had achieved a pinnacle she never thought possible—and then it all came crashing down. When Linda gave birth to a Down syndrome baby, she was certain life as they knew it was over, but instead, their son Christopher became a catalyst that catapulted Linda onto even bigger stages. Behind the glitz and glamour of the Strip, she produced charity events and concerts for a cherished disability organization, learning the job of fundraiser among millionaires, mobsters, and city movers-and-shakers. She became one of the nation’s most successful fundraisers, raising over half a billion dollars for disability causes, but her most cherished role was as a mother, seeing Chris exceed all expectations and become a force that changed not just her life, but their entire world. For more information on Linda Smith and “Unwanted,” visit https://lindaslife.com/ and follow her at @livelindaslife on Facebook, Twitter and Instagram.